According to The National Association for Amateur Radio (ARRL), elements of the US Department of Defense (DOD) will simulate a “communications interoperability” training exercise across the United States on November 04-06. The announcement released on October 24 has not been widely distributed to the media, because the drill is simulating a total grid collapse and could spark public fear. In July, we warned about the US government quietly preparing for a massive coronal mass ejection with the passage of an Executive Order – “Coordinating Efforts to Prepare the Nation for Space Weather Events”. Space weather events, in the form of solar flares, solar energetic particles, and geomagnetic disturbances, occur regularly, some with measurable effects on critical infrastructure systems and technologies, such as the Global Positioning System (GPS), satellite operations and communication, aviation, and the electrical power grid. Extreme space weather events — those that could significantly degrade critical infrastructure — could disable large portions of the electrical power grid, resulting in cascading failures that would affect key services such as water supply, healthcare, and transportation. Space weather has the potential to simultaneously affect and disrupt health and safety across entire continents. Successfully preparing for space weather events is an all-of-nation endeavor that requires partnerships across governments, emergency managers, academia, the media, the insurance industry, non-profits, and the private sector. Back in April 2017, we wrote an article titled ‘Yesterday’s Broad Power Outage Likely Caused By Geomagnetic Storm‘. While everyone thought terrorism was to blame, we correctly pointed out that large power failures in major US cities was due to an intense geomagnetic storm registering 8-10 on K-Planetary Index. A CME can launch a billion tons of plasma from the sun’s surface into space, at speeds of over a million miles per hour. Every so often, the sun burps. But, unlike myself, when the sun burps, it does so with the power of 20 million nuclear bombs. These hiccups are known as coronal mass ejections (CMEs)—powerful eruptions near the surface of the sun driven by kinks in the solar magnetic field. The resulting shocks ripple through the solar system and can interrupt satellites and power grids on Earth. Back to the exercise on November 04-06, the US Department of Defense headquarters entity will work with the US Army and US Air-Force MARS organizations and the Amateur Radio community to request status reports for 3,143 US counties. During the exercise, communication frequencies will use HF NVIS, VHF, UHF, and non-internet linked Amateur Radio repeaters. We want to continue building on the outstanding cooperative working relationship with the ARRL and the Amateur Radio community,” English said. “We want to expand the use of the 60-meter interop channels between the military and amateur community for emergency communications, and we hope the Amateur Radio community will give us some good feedback on the use of both the 5-MHz interop and the new 13-MHz broadcast channels as a means of information dissemination during a very bad day scenario. Bizarrely enough, this was first reported by Rob Dew of InfoWars, the US Department of Defense (DOD) training exercise will occur on ANTIFA’s day of rage across the United States. 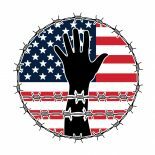 On refusefascism.org, a post titled: November 4 It Begins: The Trump/Pence Regime Must Go! has more than 33,000 shares on Facebook…. The post explains what the group’s intentions are during the day of rage. The bottom line: The United States government is quietly preparing for a major space-weather event to paralyze communication systems and energy grids across the entire country. As a citizen, you’re not allowed to know this knowledge and frankly you will not be prepared—only the government will be. The writing is on the wall of what is coming through an executive order and DOD drills. No wonder public trust with government is at historic lows, because you’re not allowed to know the truth. Simultaneously, the wealthiest families who own mega corporations in the United States are plowing millions into their proxy armies called community organizing groups. Let’s just hope, a coronal mass ejection doesn’t occur when these severely misguided folks are protesting. Here is the curve ball: Is the United States really preparing for a North Korean EMP attack? This entry was posted on November 1, 2017 by conspiracyanalyst in Earth News, Protests, Psychological Warfare, Society, Space Weather, US News and tagged Antifa, CME, DOD drills, protests, solar storms.